We are currently seeking ambitious and pragmatic software engineers who are passionate about building great online apps. You’ll use your skills to have a real impact on a product used by over 915,000 users from 190 different countries. We are looking for an engineer who loves being part of a team but is also self-motivated and loves the idea of working remotely. Ability to work independently – accountable for your own actions and able to act with both urgency and integrity. 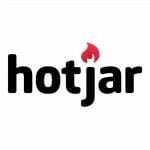 To apply for this job please visit careers.hotjar.com.